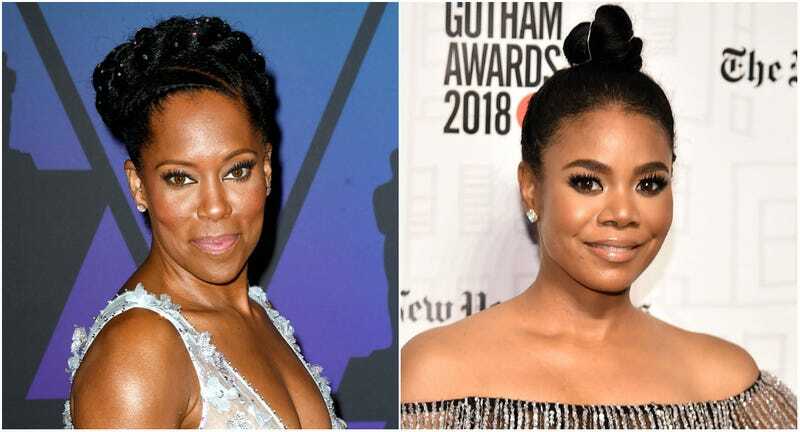 (l-r) Regina King attends the Academy of Motion Picture Arts and Sciences’ 10th annual Governors Awards on November 18, 2018 in Hollywood, California; Regina Hall attends the 2018 Gotham Awards on November 26, 2018 in New York City. As reported by Vulture, King won Best Supporting Actress for the highly anticipated If Beale Street Could Talk, while Hall made NYFCC history as the first black woman in the Critics Circle’s 83-year history to win Best Actress for the summer comedy Support the Girls. Will these two honors translate to more nominations—and hopefully, wins—as film awards season progresses? We can only hope, but in the meantime, we’re thrilled to see these two talents get some much-deserved (and groundbreaking) shine.